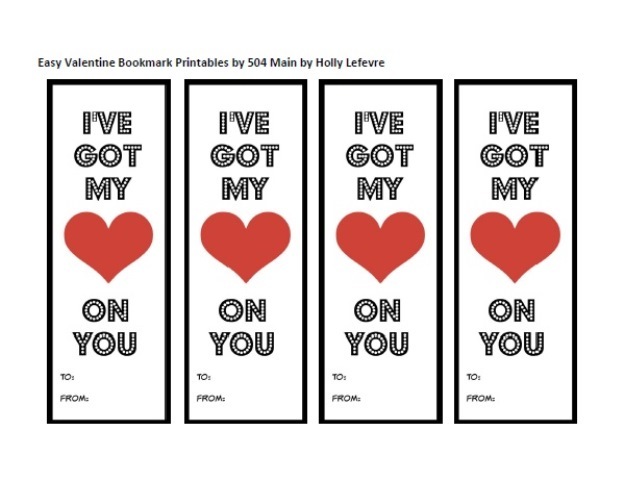 I classify these printable Valentines "oops-I-forgot-it-was-Valentines day-easy-peasy-printable -bookmarks." 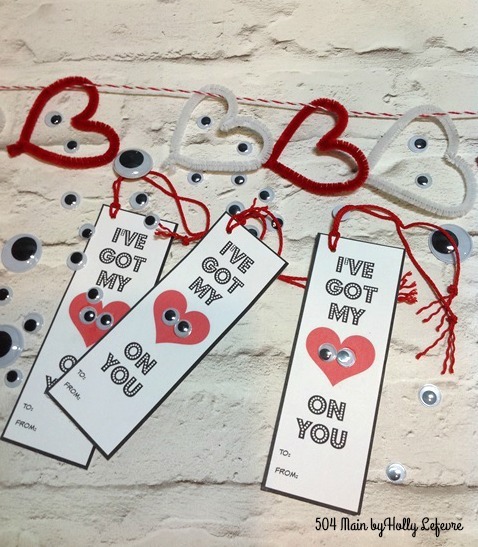 For some reason I am overcome with Valentines this year (which is a complete 180 from previous years - my whole life even!). 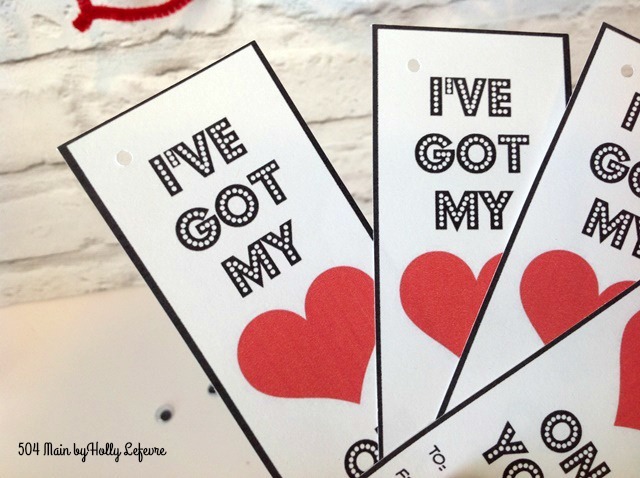 I have been dreaming about kiddo Valentines. 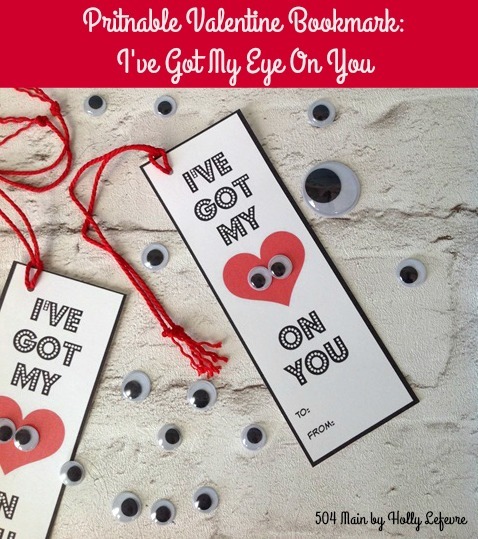 Now, all designs for Valentines MUST be 8 year old approved...and apparently she does not share my sense of humor...BUT this one passed! And it has googly eyes! BONUS! And it is quick to make! Now, lets do it! We are running out of time! 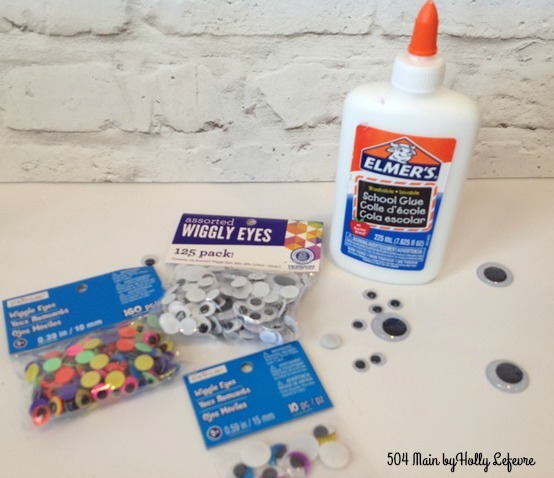 Place a small dot of glue on each googly eye. Place the eyes on the heart. All done. 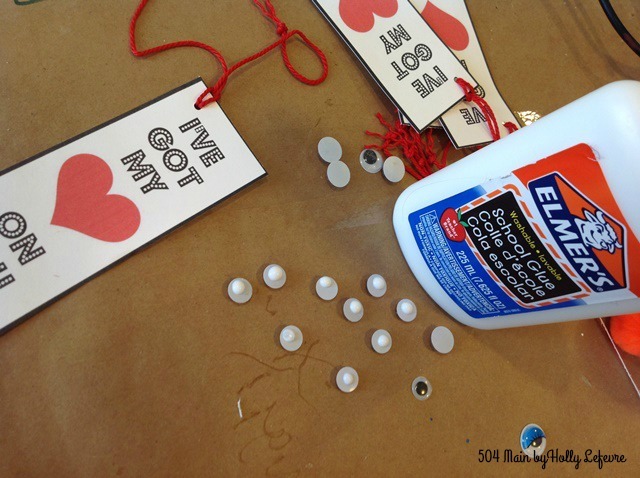 That took, what, 5 minutes - so easy and so stinkin' cute! 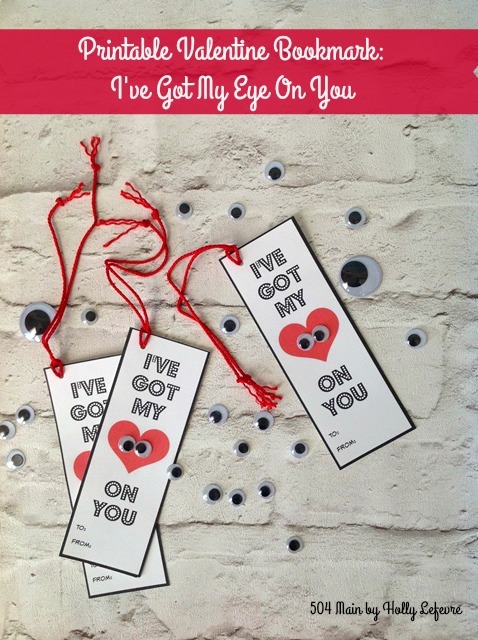 Want some more ideas...check out my JUST DUCKY printable Valentines too! 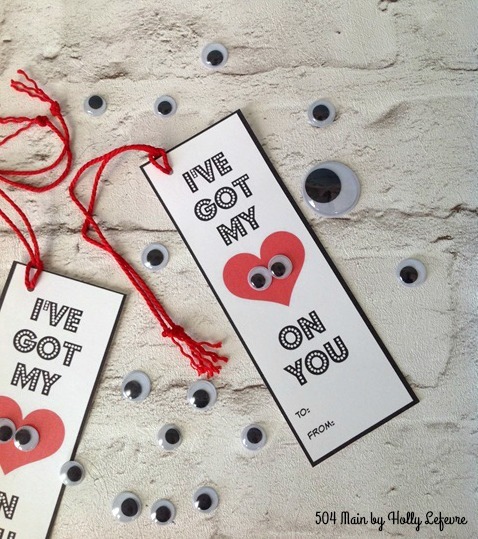 These are so crazy cute, Holly! 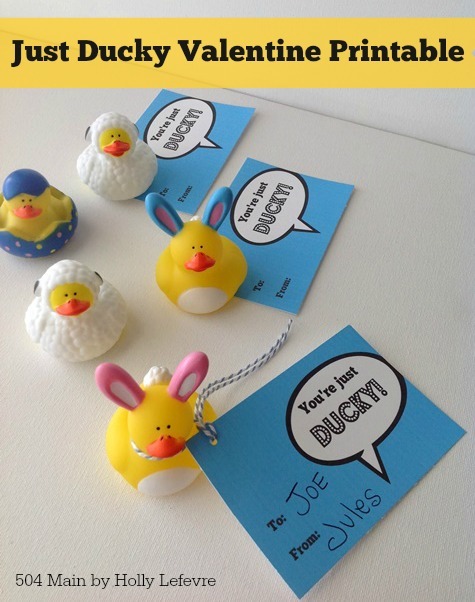 Thanks for sharing the printables and the ones for the duckies too. Wouldn't they be adorable for Easter/Spring too? You always have such fabulous ideas!